“KING INTERNATIONALcollection bin are large and meant for use at centrally located pick-up point .Provided with wheels and handles to manage unloading and cleaning easily and efficiently. We are offering Steel Dustbin to our client. Start dealing in Gulf and Africa. 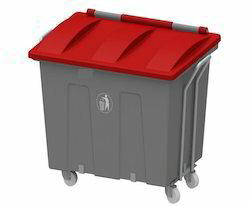 We are reckoned entity of this domain indulged in providing an enhanced quality Galvanised Steel Dustbin. 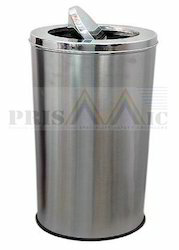 Steel Dustbin offered come precision designed in different finish dimensions as desired by the customers. Finding high usage in pharmaceutical industry sector, these are made available in stainless steel 304 construction and in glossy finish. - Perfect supplement for any room, bedroom or kitchen.